It’s a very busy time of the year for traditional Jews. 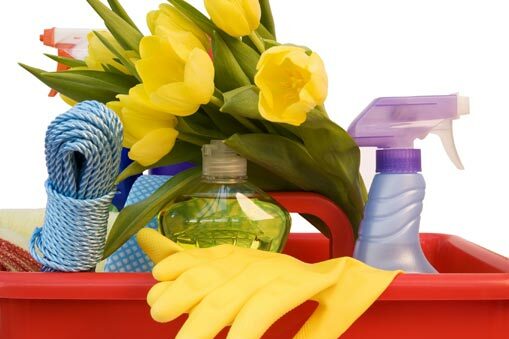 We are cleaning like crazy trying to rid our homes of any spec of hametz–aka “leavened bread” before Passover which begins, Monday night, March 24th. That means cheerios on the car floor, crumbs in the couch, backpacks, and the dreaded kitchen. We will sweep, vacuum, wash, and scrub to make our homes “hametz-free” for 8 days. All this may sound a bit obsessive, and it is, but all part of “turning over” the house to Passover. Call it Extreme Spring Cleaning. At the same time, the rabbis caution that we shouldn’t focus completely on just the physical preparation: we have to prep ourselves. We need to get rid of the “spiritual hametz“–the parts of ourselves get in the way of growth. Think addictions. Bad habits. Negative thoughts that enslave us. When I learned that Passover is considered another Jewish New Year, I figured it was a good time for spring cleaning your life. If you didn’t make New Year’s Resolutions on Dec. 31st, maybe the arrival of spring is a more meaningful time for you to make changes. A non-Jewish friend told me she makes her resolutions in the weeks before Easter since that is a time for rebirth. Another friend says he takes stock of his life every year on his birthday. What a great idea! 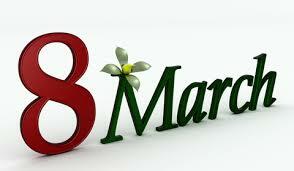 Do you have a special time of the year for renewal? New Year’s Resolution Check-up–Are you still there? We are 67 days into the new year. So how are your resolutions going? Have you made progress on the goals you drafted? Or have you opted out already? If so, you have plenty of company. Researchers estimate between 40-50% of those who make them, fail. Just after my wrote my last blog post, I noticed that everyone seemed to be writing, talking,or tweeting about setting goals and resolutions.Turns out, it ain’t easy to form new habits and stick to our goals. Why? Human nature and our brains. I found this research so fascinating that I’ve decided to pursue my Ph.D. (Productivity and Habit Development.) During the upcoming months, I’ll be reading several books and articles on the topic of productivity, habits, and goals. Then I’ll recap my findings here just for you. I’ll try out some of the recommendations, too, and share my results. 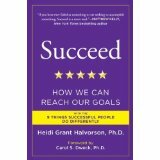 The first book I recommend is Succeed: How We Can Reach Our Goals by Dr. Heidi Grant Halvorson. Dr. Halvorson is a speaker, psychologist, author, and expert on motivation. She uses brain and social science to explain why some people succeed and some don’t at achieving goals in every day life. Dr. Halvorson writes in an engaging style and uses examples from her own life. She’s funny, too. What I really liked about this book is that the author shows how conventional thinking about goals can sometimes be counterproductive. For example, we hear a lot about the importance of visualizing–think Oprah–making dream boards, thinking positively, imagining our success. The problem with this strategy, according to Dr. Halvorson, is that we don’t have a realistic picture of the steps we will take or the obstacles we’ll encounter along the way. We don’t visualize how hard achieving our goal will be! This certainly resonates with me as I think about the unfinished draft of my new novel that I thought I’d complete last summer. I invite you to join my in my 2013 Ph.D program. Please share your ideas, experiences and recommendations.